The Quiz module provides tools for authoring and administering quizzes through Drupal. A quiz is given as a series of questions, with only one question appearing per page. Scores are then stored in the database. The following sites use the Drupal Quiz module. 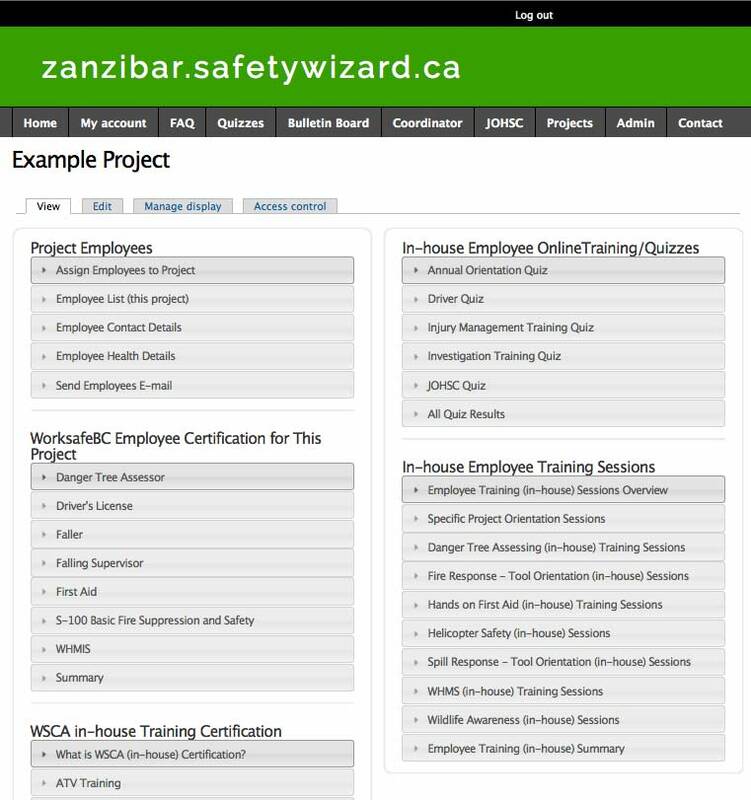 This is the newest (Drupal 7) version of the SafetyWizard software; it has been completely re-factored. The functionality has been extended so that it is now much easier to deploy and manage. The focus has changed so now it is project centric. Managers of specific projects can now administer all of the functionality from within the context of the custom project UI.